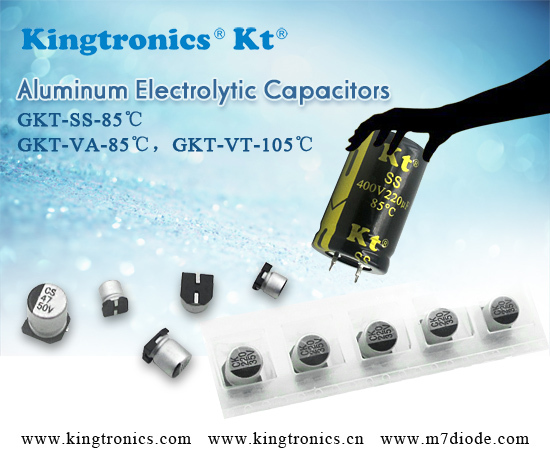 Aluminum Electrolytic Capacitors are incresingly popular recently. In order to show our valued customers more information, more and more series will be updated on our website. 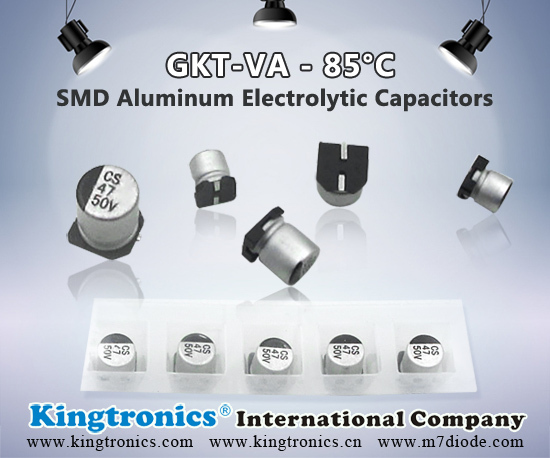 Except for GKT-VA & GKT-VT, the SMD series GKT-VC,GKT-VE,GKT-VK,GKT-VL,GKT-VN,GKT-VZ have been posted. Kindly check more specification by below datasheet links ! Welcome to email us to check more part numbers and prices ! 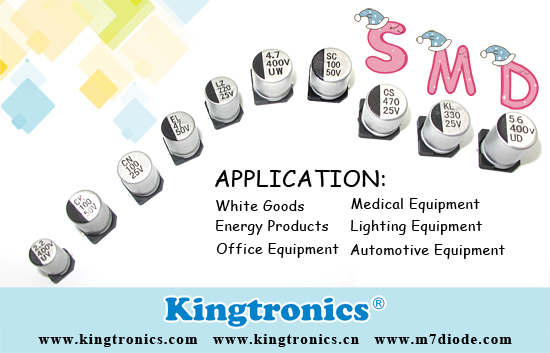 Do you interested in purchasing Kingtronics Surface Mount SMD E Cap? 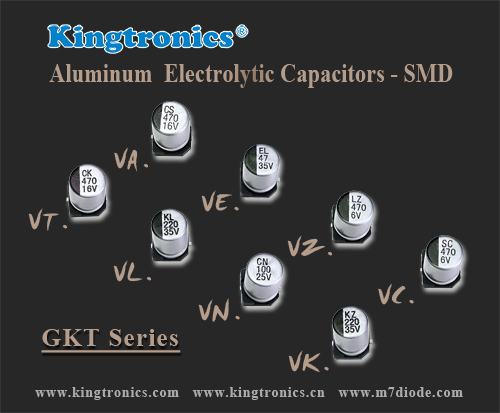 Now we will have an introduction of Kt SMD E Cap, hope it will be helpful to you. 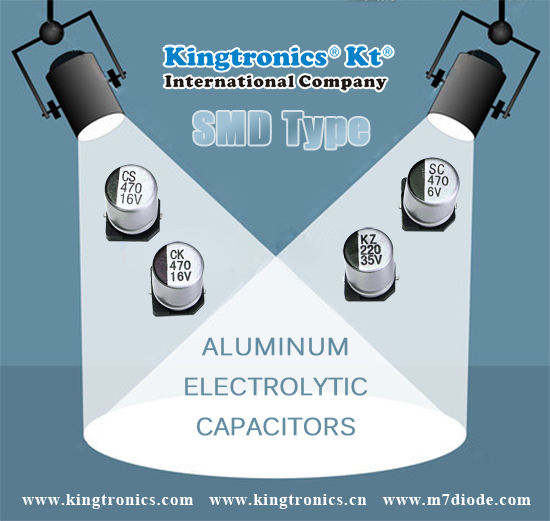 We are available to provide more types of SMD E Cap, which includes at least seven types. They are General Purpose Type, Low Leakage Current Type, Non-polarized Type, Low Impedance Type, Long Life Type, High Reliability Type and High Voltage Type. 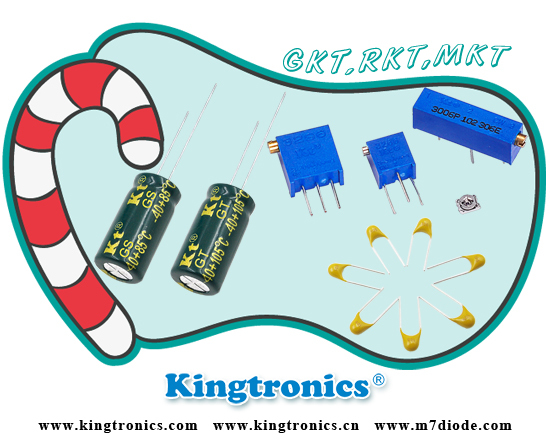 Among them, General Purpose 's two series Kingtronics GKT-VA and Kingtronics GKT-VT are Kingtronics main selling products. They are also the most popular hot products. 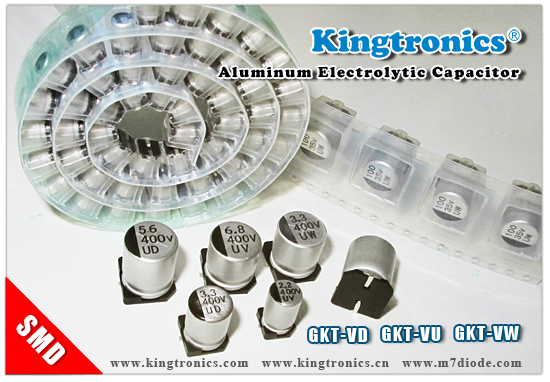 Welcome to try our product Kt Kingtronics Surface Mount SMD E Cap. Looking forward to your enquiries. We will provide best price and utmost service to you. 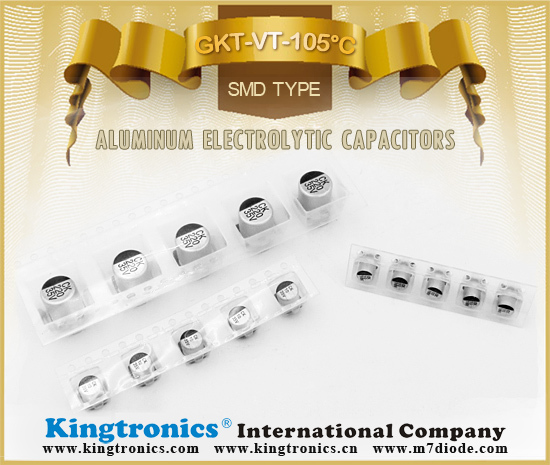 Kt Kingtronics SMD Aluminum Electrolytic Capacitors includes an internal element of an anode foil and a cathode foil, and then rolled together with an electrolytic paper. It attached to external terminals connecting the tabs with the anode or the cathode foils, and sealed in a can case after impregnated with an electrolyte. 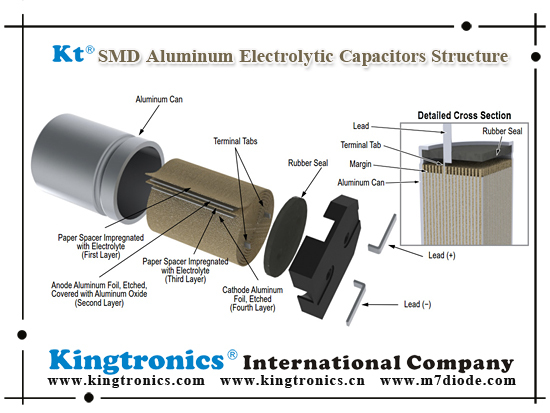 The following figure specifically and clearly shows the internal construction of Kingtronics SMD Aluminum Electrolytic Capacitors. Capacitor parameters for the series equivalent-circuit model is shown on the below table. Among them, C represents Capacitance; DF is short for Dissipation Factor; Rs is the abbreviation of Equivalent Series Resistance; Z symbols Impedance; Ls is Inductance and fo stands for Self-Resonant Frequency and etc. Please find more fully information in it. If you have interested in these products and need more information, welcome to contact us. Thank you! 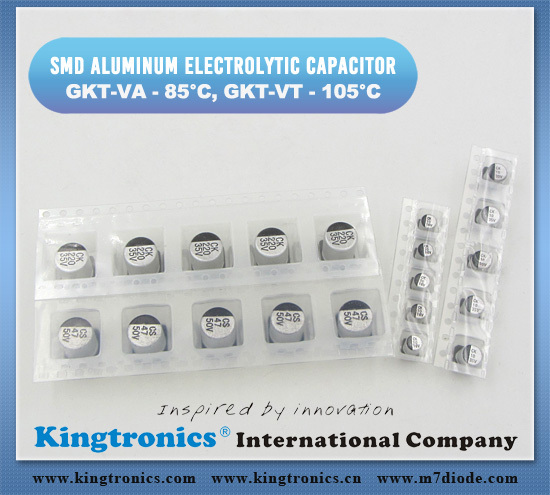 About ordering Kingtronics SMD Chip Type E Cap, it’s important for you to know some aspects -- (Voltage, Capacitance, Capacitance Tolerance, Case size, Packing, Pb), which will help you order more efficiently and clearly. Below is a table for your easy reference. Your enquiry will be highly appreciated.